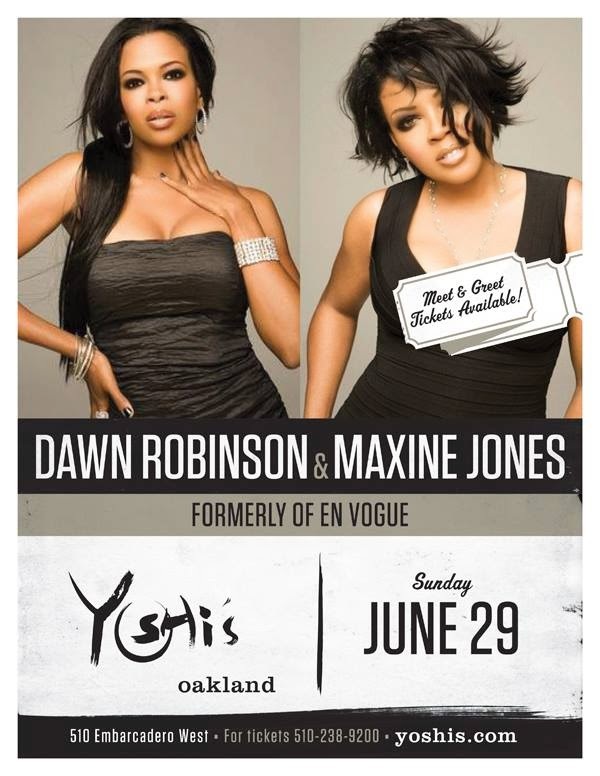 Performing live Maxine Jones and Dawn Robinson (Former original members of En Vogue) Music Director James Earley band @ YOSHI'S in Oakland, Ca. Performing the hits you become to love En Vogue...Lucy Pearl..Maxine also singing her hot single "Didn't I'...But the sad NEWS IS!! ..Due to their busy solo careers this will be their last show performing together. Get your tickets online before they are SOLD OUT! !